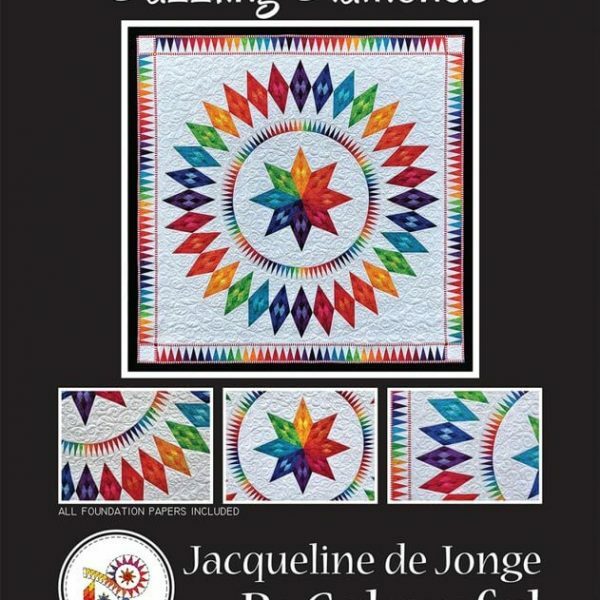 Dazzling Diamonds is a Paper Piecing Pattern designed by Jacqueline de Jonge of the Netherlands. 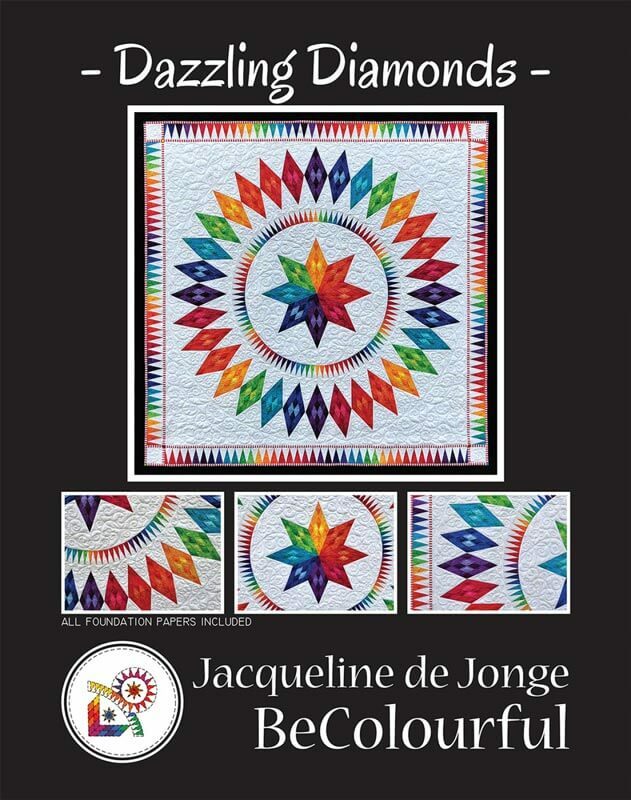 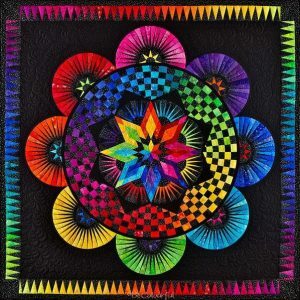 The quilt on the pattern cover a beautiful assortment of 23 colors of the rainbow which sit on a white on white background. 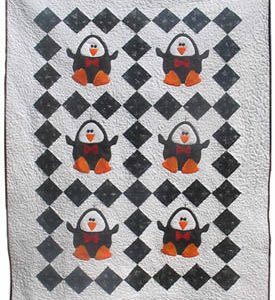 A black batik and a red and white stripe fabric add some POP to this design.